Question: Who Was The First Governor Of Balochistan? Lt Gen Riaz Hussain Was The First Governor Of Balochistan and the personality analysis will be presented here at this page. You will get the idea about the person that can make your best part with respect to the idealization. He was served as lieutenant general in Pakistan army. Also he was the 3rd director general of ISI starting tenure from 1959 to 1966. 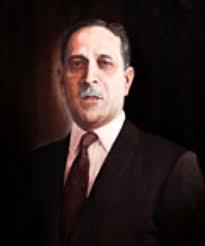 The date of his appointment as governor was 1st July 1970 and 25 december 1971 is the date when he left office. It is all about the Who Was The First Governor Of Balochistan.